Monday morning October 2, 2017 – Before I jump into more of the awesome things Roy and I have gotten to do, I feel the need to ask for prayers for all those affected by the mass shooting in Las Vegas last night. The first I heard about it was when I woke up this morning and read on my phone on Facebook that my husband, Roy was asking for prayers for Las Vegas. Then I saw President Trump was speaking on national television about the horrors that occurred and the need for prayers and for God’s comfort. Three horrible hurricanes and a National Horror have challenged this young presidency and I am so thankful that Donald Trump is our President. No one could have done better than he has being our President. If you watch CNN or others you won’t know that. If you watch Fox News you are well aware of the truth of this man’s leadership. Here is the video from earlier. Broken for those who are heartbroken today in #Vegas. With-ness breaks brokenness & we are with you & He is Emmanuel, God with us. And shared tears are multiplied healing — & we weep with you & God sees & shares in the heartbrokenness & catches every tears & His love is stronger than any hate. Thanks Ann for those words reminding us that God’s love is stronger than any hate. October 1, 2017 – Living in a modern era RV makes Roy and I interested in the history of RVs and how they changed and improved over the years. Jack Seisemore Traveland is a combination RV Sales, Camping World type accessories store, RV Park and a very well done RV Museum. 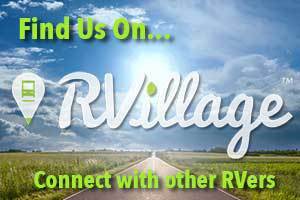 The Sisemore’s began restoring and collecting unusual vintage RV’s over 25 years ago. These include many RV’s from the 30’s, 40’s, 50’s, 60’s and 70’s. The museum is free. I mostly share just our personal photos of places we are blessed to visit. Because of the confined quarters in these smaller, older RVs makes taking good photos hard for an amateur photographer like me. When I was going through the almost 200 photos we took most of them got deleted because of poor quality. That left me with not much to use. Then I discovered on their website a wonderfully clear slideshow of photos from all throughout the museum. Here is a link to the slideshow for ya’ll to enjoy! The photos and video below are ours. As soon as I saw the first photo below I said to myself that is a bus I’d love to have. Then I realized it was the Gornicke’s family bus from the famous Robin Williams movie “RV.” So many hysterical and heartwarming moments were filmed in and around this bus! Along the interstate we saw two things that I wasn’t aware were part of the Route 66 sites. First is The Cross of Our Lord Jesus Christ in Groom, Texas. We did not know there was something to visit when we passed it by on the interstate. I wish we had known. From their website at http://crossministries.net/. Next is the leaning Britten USA water tower which I found the following information about. The water tower was bought at an auction and was going to be used as the town’s actual water tower. However, it never met code. So instead of wasting it, Ralph Britten decided that anyone can have a water tower, but his was going to lean. He placed the water tower near the family truck stop and restaurant. Although the restaurant and truck stop burned down, you can visit Ralph’s grandson at the Auto Shop that is now where the truck stop and restaurant used to be. There are a lot of Route 66 sites we didn’t know about and I’m glad we at least got to see these two. You know I photograph everything so I’m glad I whipped my camera out to catch theses! Next is our last stop on Route 66 which very fittingly was the Route 66 Museum in Elk City, Museum. That’s what I’ll be writing about next. I hope to put together a blog post with a list of everything we chose to see along the way in case that can help someone else who wants to travel this route. I have books, maps of each state with Route 66 sites marked (not nearly all but it helped). I would love to pass these along to someone who could use them. If no one claims them to use in traveling, I’d be glad to give them to someone who just wants to learn about Route 66. I think I paid between $50.00 to 70.00 for all of these so it’s a lot of good material. We are in Checotah, Oklahoma right now staying at Terra Starr RV Park for a week. We are not even going to unhitch Boots from Dora unless we must. One whole week of resting, blogging, painting rocks and more resting!